Lucy Hemmelgarn has been attending Amber’s since January 2015. Amber’s education system goes by hours; out of the 1500 hours required Lucy has received 1240. In being so close to graduation, she answered a few questions about her experience with Amber’s and her hopes upon graduation. Why did you choose Amber’s? : I had heard about Amber’s from other people that I went to high-school with. I came in for two tours and felt like it was the place for me. How would you describe Amber’s? : It is a fun learning environment and fun learning with other girls who has the same goals as I do. Each day you never know what is ahead of you and what you’re going to accomplish. Amber’s help in future? 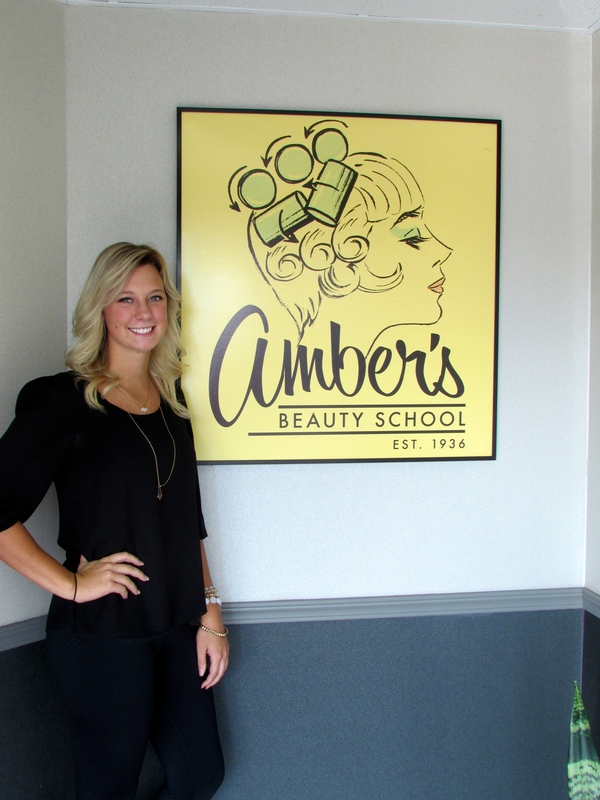 : Going to Amber’s allowed me to take part in a program that showed me there is more to the beauty industry than I know. Amber’s showed me that there is a big different between being good and really good…all it takes is effort. Through Amber’s I was able to attend classes in Indy that has helped me grow. The sky really is the limit. What do you want to do when you are done at Amber’s? : I’m hoping to become an apprentice at Redhead and stay in the area. Lucy has recently gotten hired on at Redhead Salon Boutique as an apprentice. As Lucy goes on to a future in the styling world, we wish her all the best! For more information on the services Amber’s offers, give us a call or walk-in!